Hate it or not (Yes I do), SAS programmers can’t just get rid of Microsoft Office Excel in their life. 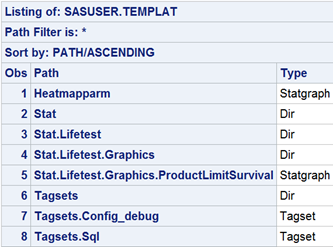 A visual way to browse all ODS templates is to use windows command “ODSTEMPLATES” to invoke a SAS template window. 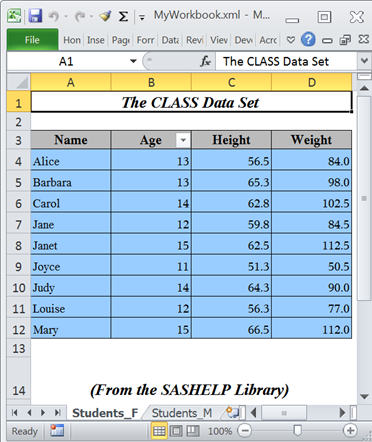 NOTE: This is the Excel XP tagset (Compatible with SAS 9.1.3 and above, v1.122, 01/04/2011). NOTE: Path ‘Tagsets.ExcelXP’ is in: SASHELP.TMPLMST. 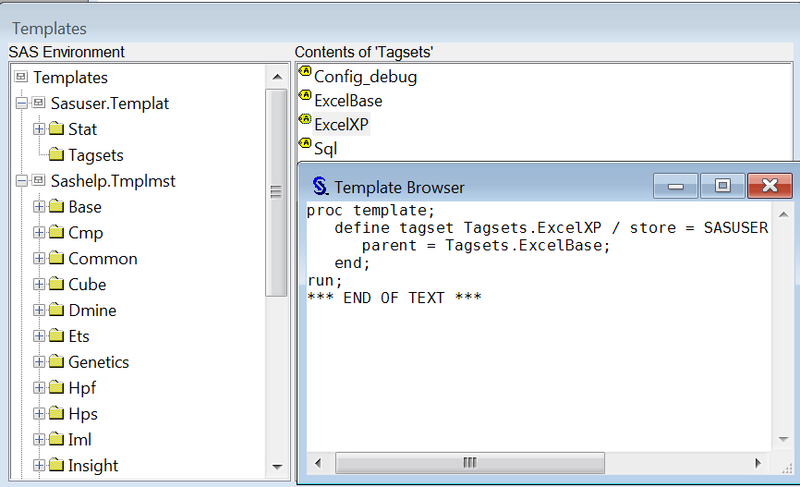 Note Tagsets.ExcelXP is subject to Tagsets.ExcelBase. 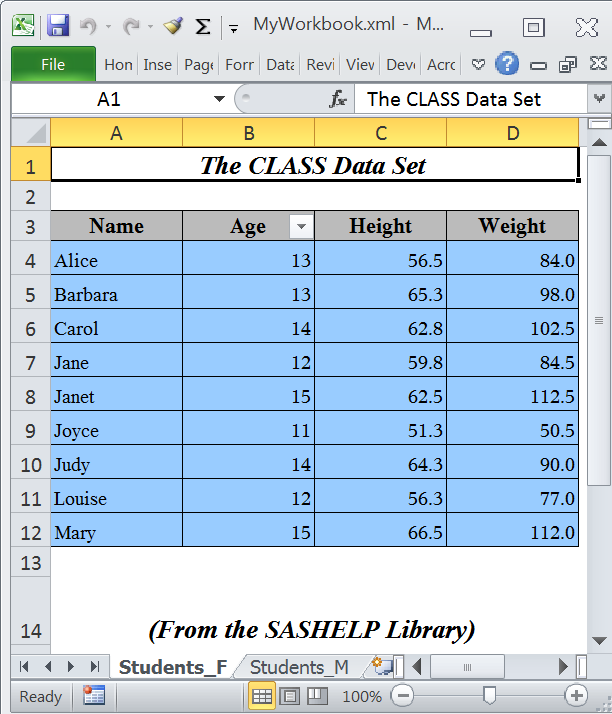 The template store path uses a two level name in which SASHELP is a SAS library and TMPLMST, a name assigned to distinguish a set of templates. You can also store your customized templates in SASHELP.mytpl1, WORK.forTLF and such. The extension doesn’t matter and you can use anything you like (including .SAS). This order also indicates the ODS template searching priority, first SASUSER.TEMPLAT then SASHELP.TMPLMST. If two templates with same name exist in both library, the one in SASUSER.TEMPLAT will be used. Templates in SASHELP.TMPLMST can’t be modified(read only). 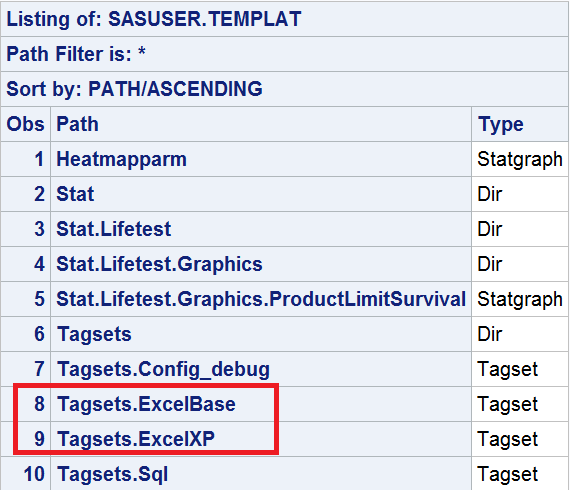 Since there is already an ExcelXP tagset in SASHELP.TMPLMST and it can’t be overwritten, this new added ExcelXP tagset is thrown to SASUSER.TEMPLAT by adding a STORE option (check the source code) and will be used when statement “ODS tagsets.ExcelXP” invoked. It’s always safe to perform delete statements since items in SASHELP.TMPLMST are read only. 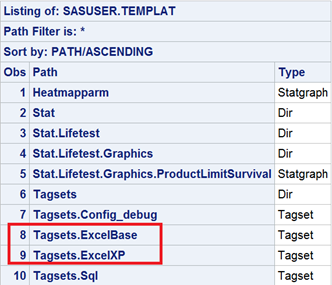 In this case, the ExcelXP tagset in SASUSER.TEMPLAT will be deleted. 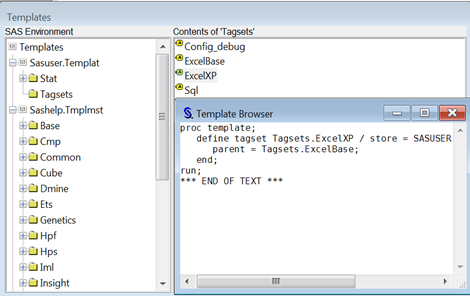 If apply step #6 to delete ExcelXP tagset, the items in EXCLTAGS.TEMPLAT will be deleted(as same as the searching priority).